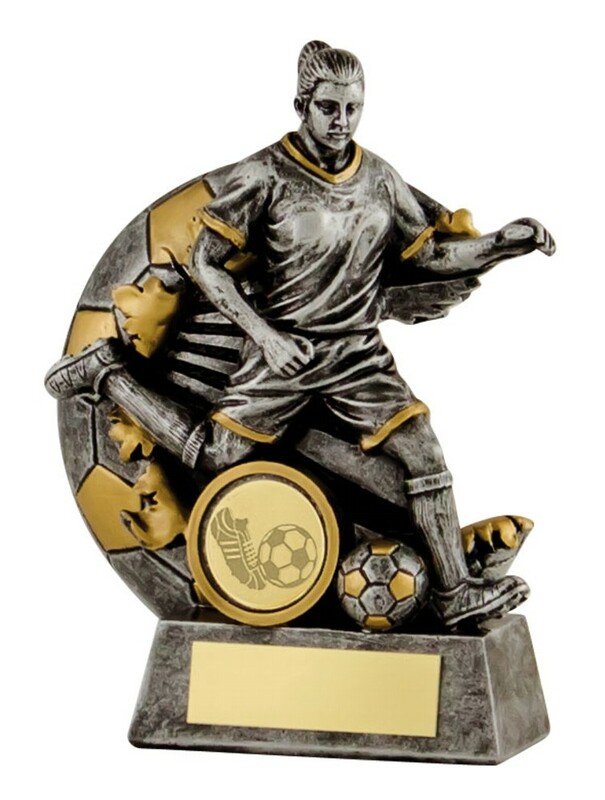 Resin Female Football Figure awards. Available in 5 sizes, 135mm, 150mm, 165mm, 185mm and 195mm high. Antique silver solid resin award with gold detail.